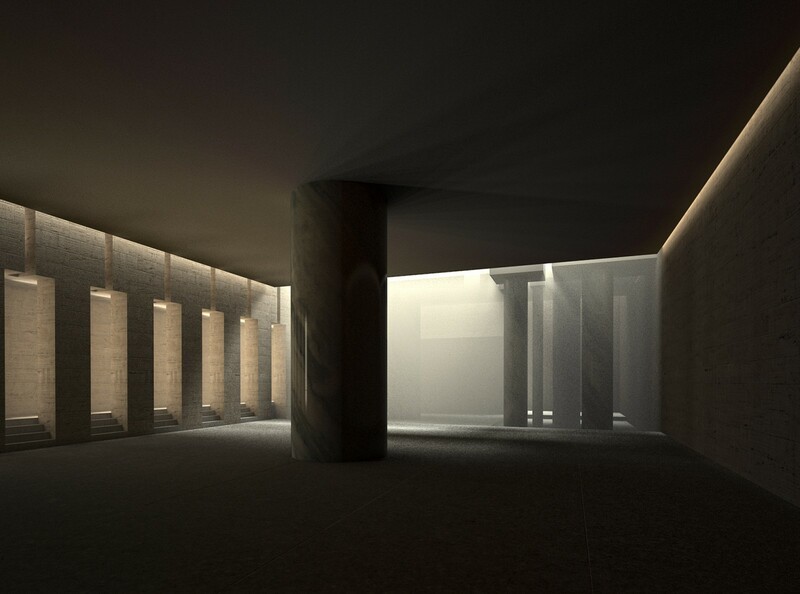 This rendering represents a virtual view of Giuseppe Terragni’s work, the “Danteum”. The construction of the D. was supposed to start in 1938, but the project was stopped due to the beginning of the WWII. The project should have been realized in 1938 along “Via dei Fori Imperiali” in front of Basilica of Maxentius. The Danteum consists of three different rooms: Hell, Purgatory and Heaven. This building symbolizes the progressive climb that Dante Alighieri describes in his epic poem. The Danteum is an attempt to translate The Divine Comedy into architecture. In this view I represented the rendering of Hell Room.